The course is certified by MediAcion Germany and Yenepoya University Medical College and Nursing College and is conducted along the Median Level of training of EAPC. Participants: University and College teaching staff: MD and professionals with academic background from social work, psychotherapy, physiotherapy with at least three years of working and/or teaching experiences (exceptions possible on request). The participants will participate in a 160 hours course of Palliative care and teach at the same time in the course itself. They will get feed-back on their teaching from the participants and from the conductors of the course, Prof. Prabha Adhikari and Prof. Jochen Becker-Ebel, EPEC trainers. Additional input on teaching will be given during the course. 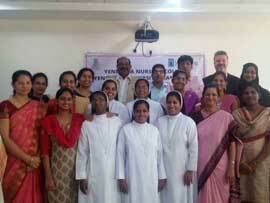 As additional trainer Dr. Naveen Salin. EPEC Master trainer will attend the first modul of this course. 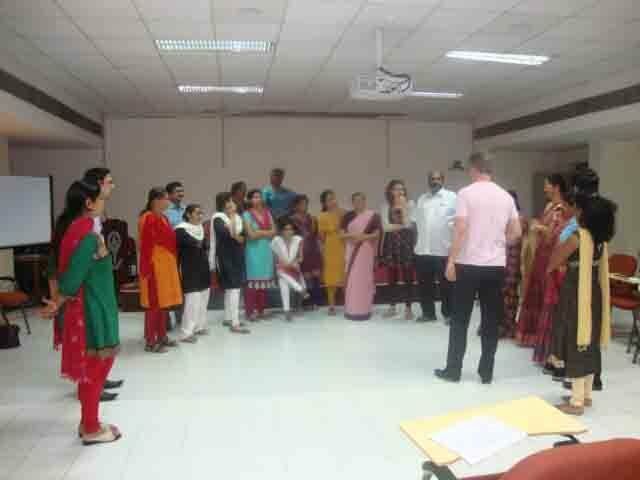 The course is certified by MediAcion Germany and Manipal University. The participants will participate in a 100 hours course of Palliative care and teach at the same time in the course itself. They will get feed-back on their teaching from the participants and from the conductors of the course, Prof. Prabha Adhikari and Prof. Jochen Becker-Ebel, EPEC trainers. Additional input on teaching will be given during the course. 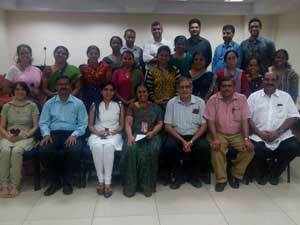 As additional trainer Dr. Naveen Salin. EPEC Master trainer will attend the first modul of this course.